1) Never sacrifice form to lift more weight. We are in the business of stimulating muscle so weights are just the tools we use to induce stimulation; we are not powerlifters. Also, focus on really squeezing the muscle you’re training. The way I see it, focusing and squeezing is much more important than the amount of weight used, and with that manner of execution you can’t use really heavy weights. 2) You need to practice goal setting: Without goals we are like a ship in the middle of the sea, just drifting away with no sense of direction. It just goes with the flow, so to speak, and if it ever gets anywhere it is just by mere accident. In order to achieve success in our bodybuilding program, our goal should be clearly defined and engrained in our brains. Otherwise, like the boat on the example above, if you get anywhere it will be by mere chance. 3) Follow a sensible and well periodized training program: Unfortunately, many bodybuiders who are just getting started make the mistake of either choosing a bodybuilding routine that is too advanced for their level, or simply go to the gym without any training plan. 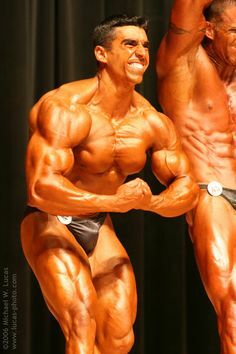 Too much too soon leads to injury and just going from machine to machine without any set routine just leads to marginal bodybuilding results at best. The cure to this problem is to grab a sensible bodybuilding routine that fits your training level and execute it day in and day out. 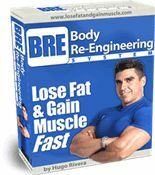 4) If you want results, do not neglect the nutrition component: Without a bodybuilding diet to go along with your training program you will fail to lose body fat and gain muscle. Nutrition is what gives us the raw materials for recuperation, energy, and growth. Therefore, it is important that you get familiarized with the characteristics of a good bodybuilding diet and apply those principles in order to ensure getting the bodybuilding gains that you are looking for. And along these lines, if you are looking to have abs, nutrition is the main component that needs to be tweaked in order to get those. Why? 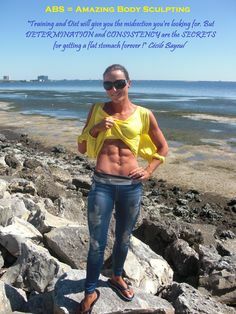 Because ripped abs are a function of low body fat and low body fat is attained through following the proper diet. 5) Don’t rely on supplements to do the work for you: Supplements do not make up for improper training, or lack thereof, and/or a low quality diet. Bodybuilding supplements only work when your diet and your training program are optimal. Keep in mind that supplements are just additions to an already good nutrition and training program. 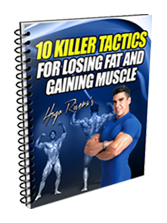 Once all of those aspects of your program are maximized, then you can start thinking of adding bodybuilding supplements to your program. 6) You need to get proper rest: Muscles do not grow as you work them out. They grow while you sleep. Therefore, sleep deprivation will cost you valuable bodybuilding gains. Ensure a good night sleep every night and avoid staying up late if you don’t need to in order to keep cortisol levels low. Seven to ideally eight hours of sleep each night will not only keep you healthy and more energetic, but also will ensure that bodybuilding gains keep on coming. 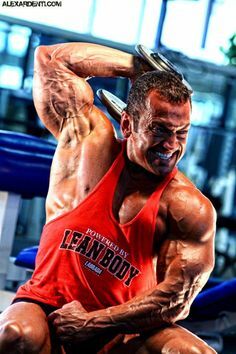 7) Consistency leads to bodybuilding success: Remember that consistency of execution will lead to ultimate bodybuilding success: If you consistently apply a sound training system, nutrition, supplementation and recovery plan you will achieve your fitness goals. 8) If you fall off the wagon, lift yourself up and get back on it! Too many bodybuilders focus on perfection. Therefore, if they miss a workout, a meal, or cheat on their diet, they get all frustrated and toss the whole program. As my good colleague and worldwide nutrition expert Keith Klein says: “That is the equivalent of getting a flat tire and puncturing the other three plus the spare!” Remember, this game is won through consistency of execution, not through perfection. 9) You control what you put in your mouth: Remember that only you control what goes in your mouth. Food does not control you! 10) Believe in yourself: Last but not least, and as funny as it sounds, there must be NO DOUBT in your mind that you can make this transformation a reality. If not, you won’t be able to achieve your desired results. Believing in yourself is really the first step. If you don’t believe in yourself, who will?